Meet our April Sweepstakes Winner! Our first lucky winner is Pam McNamara from South Dartmouth. Pam has decided to take the $1,500.00 cash payout and donate it to her church to be used for a wonderful program called Laundry Love. The program cleans laundry once a month for those who are less fortunate and each month they are cleaning more and more laundry. 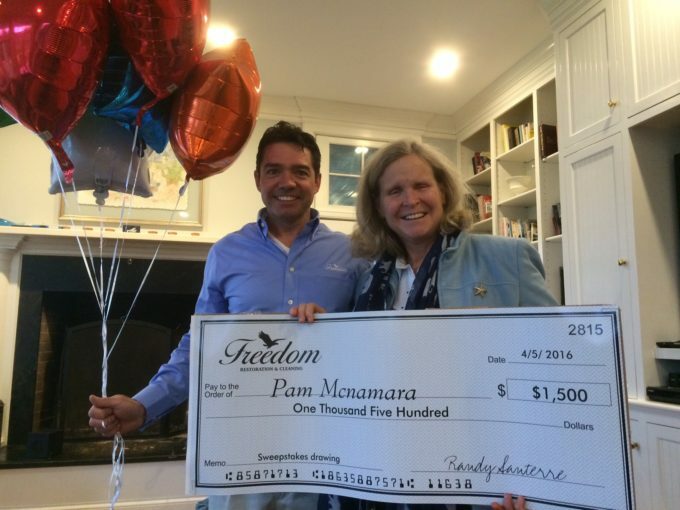 You truly have a big heart Pam McNamara! Stay tuned for our next winner! We have been extremely satisfied Freedom customers for 5 years! Freedom has done an outstanding job cleaning our many rugs-oriental and other family favorites-and has effectively and efficiently done other floor cleaning in our home. We have an active family and three dogs, our home has greatly benefited from Freedom’s focus on quality and their candor about difficult to treat cleaning problems. Freedom makes it extremely easy to do business with them. Freedom’s drop off and pick up service makes their cleaning convenient for us, reliable, on time and fitting our schedules. We continue to be loyal customers and are booking Freedom for our Spring Cleaning now. We strongly recommend them to our friends. Thank you, Randy and team, for your great service. 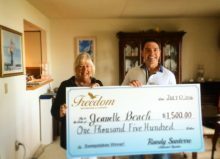 Meet our June Sweepstakes Winner! Meet our May Sweepstakes Winner! Tropical Vacation Give A Way! Meet our May Sweepstakes Winner! 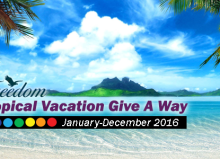 Tropical Vacation Give A Way! Copyright 2015 Freedom Restoration & Cleaning | All rights reserved.